Marker shopping had suddenly become not exciting... zzz😪 I suspect the 72 marker sets had been discontinued because too many people had been snapping them up and the factory cannot keep up with the demand. 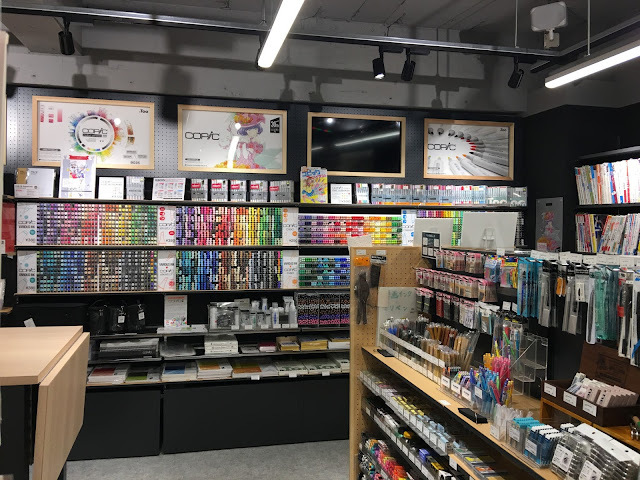 This is my favourite shop to buy all my COPIC markers, papers and pens because you can apply for a membership card to accumulate points and redeem for a discount in the future. It is also located inside a mall (LUMINE EST) right above the train station, so you can do tax-free there too. 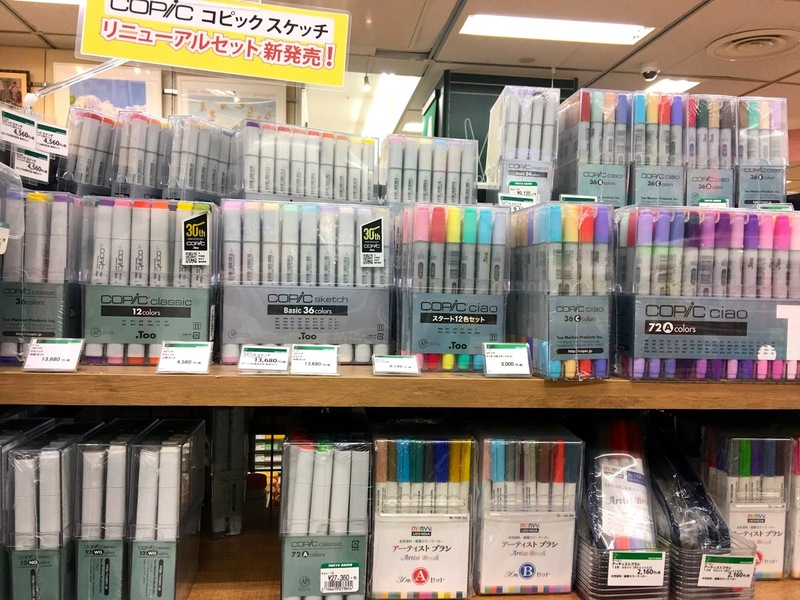 However it seems very popular with tourists now (maybe after I introduced it in my blog?😅) so supplies like marker papers run low. 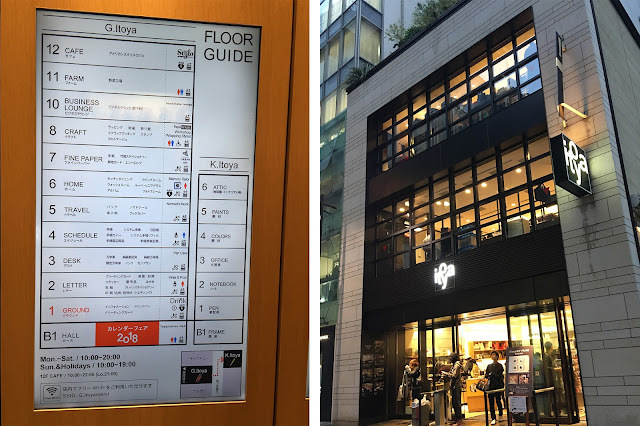 Itoya has 2 buildings in Ginza. 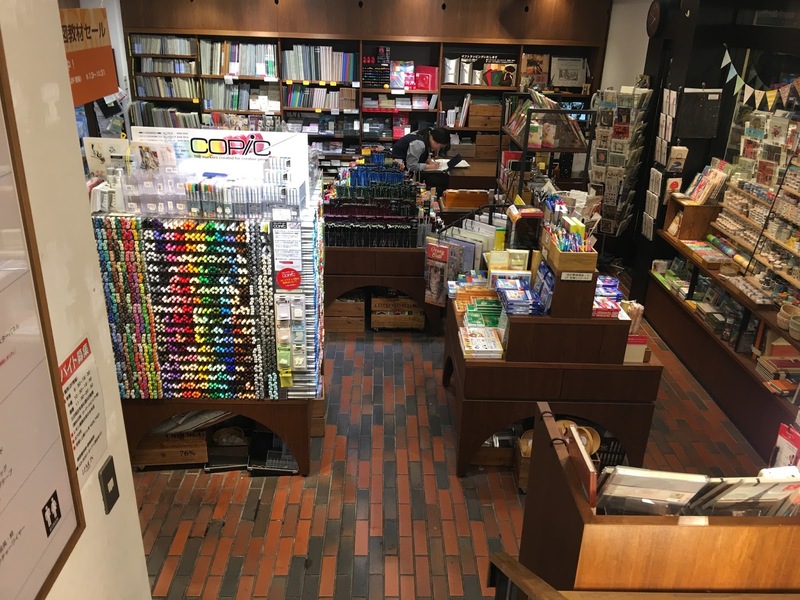 The main building focuses on pens and pricey products so if you want to buy COPIC and other art supplies, you have to go to the back building called K. Itoya. 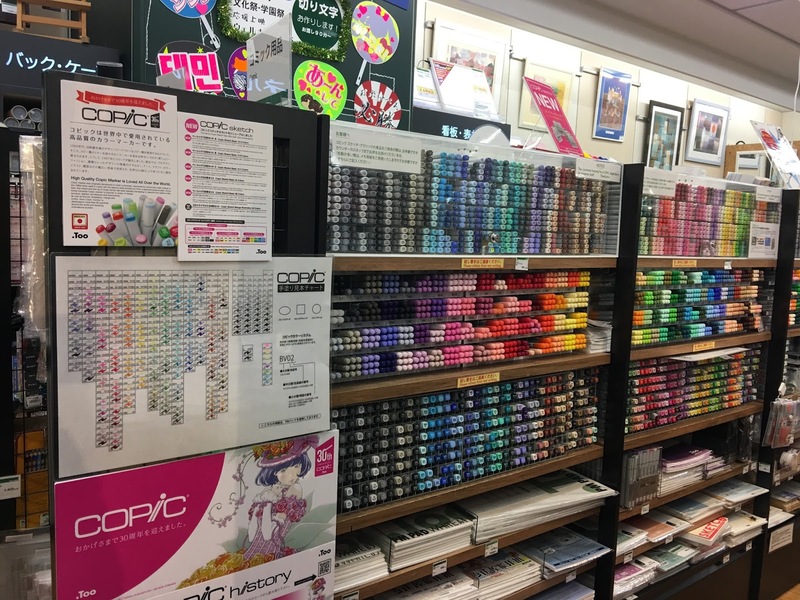 Itoya doesn't seem to have a membership system and all art materials are at full price. 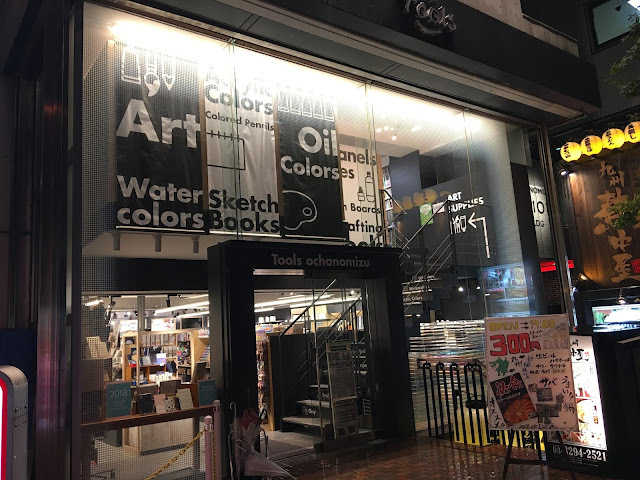 So although they have a good collection, I still buy my copic markers from Tools Shinjuku and other art supplies from Sekaido, which sell at 20% below usual price. Tokyu Hands now require tourists to follow their social media account before getting a 5% discount. With the 8% tax free, it could mean some significant savings. I believe only their bigger stores carry the COPIC markers, which means their branches in Shinjuku, Shibuya and Ikebukuro. 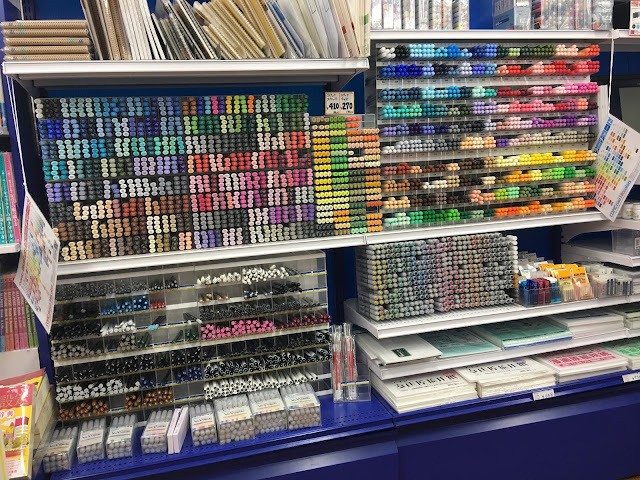 Their range of COPIC goods was quite decent. The above was shot at the branch in Takashimaya, Shinjuku. If you don't care about tax-free, Ochanomizu has a number of nice art shops that are mainly patronised by locals. 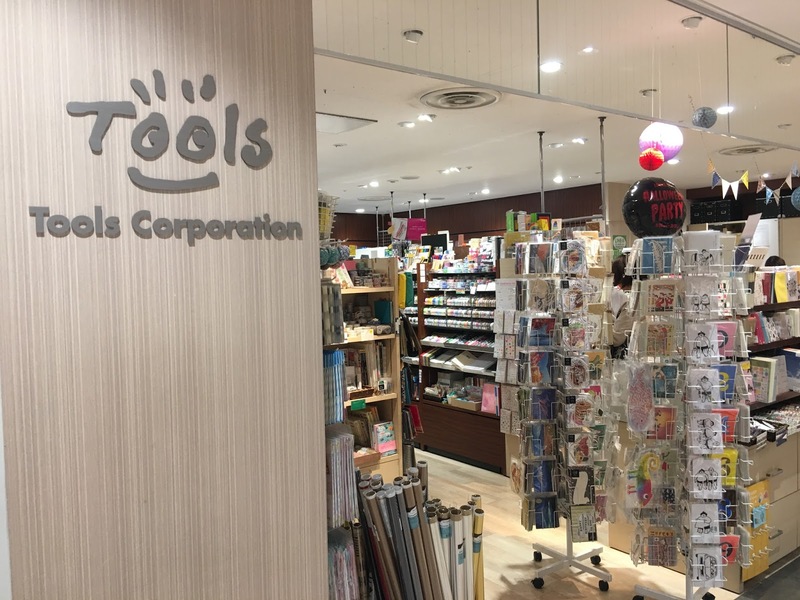 The Tools branch here is located in its own building so there is no tax-free counter from the shopping mall like the one at Shinjuku. Just a few minutes walk away from Tools is Lemon Gasui, another art shop that opens till a later time. The atmosphere here is just awesome. Animate's selection is significantly limited but hey, they are mainly a comic and anime goods store. 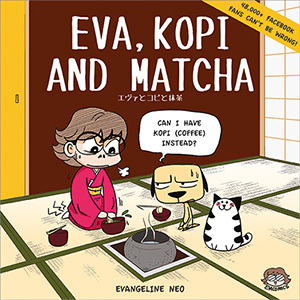 Only buy here if you happen to be there for your anime shopping. Animate Ikebukuro is even more pathetic and only carried these... so if you are serious in buying your markers, I highly recommend the first few shops I recommended above. boleh tanya tidak? 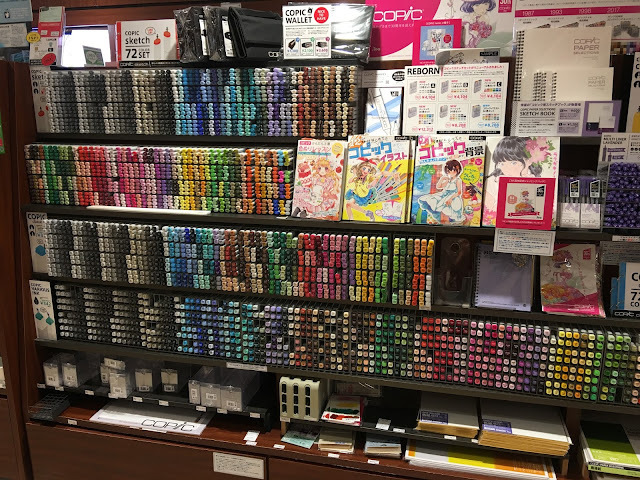 d toko mana kira2 ada copic yg multiliner SP 1 set? ato smua toko yg anda cantumkan ada? 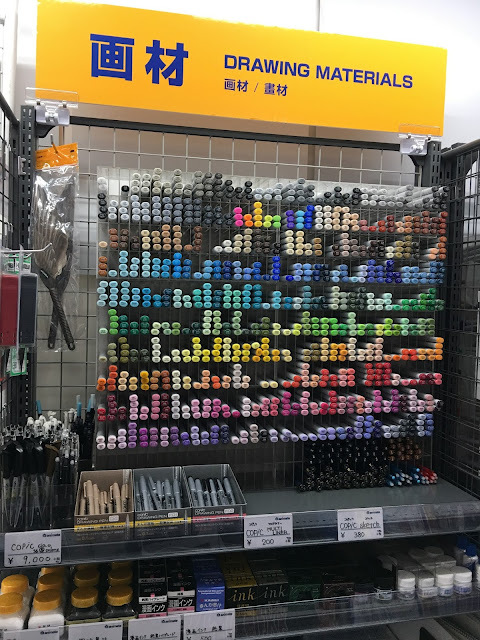 They don't have the markers locked up at Tokyu hands (Shinjuku) anymore, they however do ask you not to test them, all the markers are in great condition though. I agree, open stock art supplies are not open stock for testing, they are there to take what you want. This is why I never buy open stock colored pencils, too many carless people 'testing' them, dropping them, ruining the leads. Same goes for paint brushes, you shouldn't touch the bristles because of the sizing in the bristles. People crack them all the time, I haven't bought a paint brush in a shop in years. The only shops I will buy them from are the ones where brushes are kept behind the counter, which are far away from me. When I buy them I get several online and keep the ones that look good, after carefully soaking I do small tests but I have never had to return a brush that looks good with the sizing in it. Markers have a sell by date, which they are good for way past that date, the sell by is recommended so customers can be sure they are getting perfect markers. A reputable shop will keep track of turn over and when the stock is getting old they will stop restocking and have a super sale to liquidate their old stock. Super sales are rare though since markers are so popular. TLDR::: Open stock is Never ever ever meant for product testing! Unlikely? That's why they discontinued in the first place. 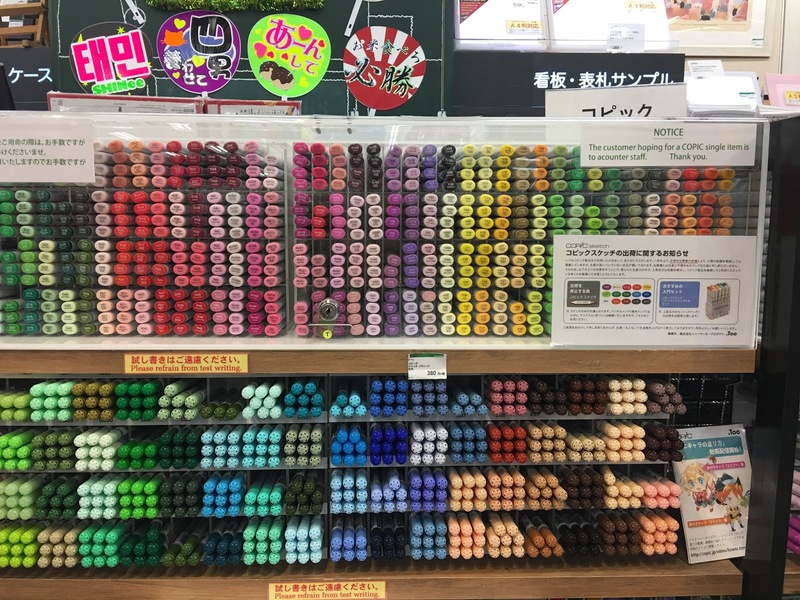 Does Tokyu Hands sell Copic Ciaos? Yes, at least I know the one at Shinjuku Takashimaya carries them. The 2nd photo with the ciao sets are taken there. in tools in your picture there is like a booklet saying 72 sketch color set is that meant to show the colors in each 72 set? Yes it was actually a small flipchart showing the respective colours in each set. They no longer sell the 72 set though. 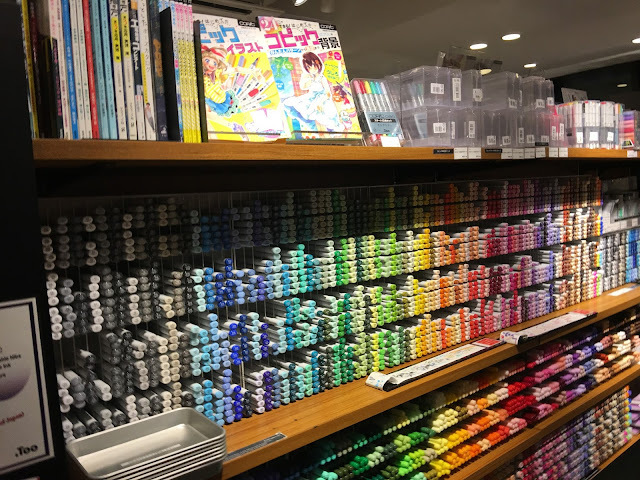 It has all the copic colors when I was there. I believe they have dipping pens too but I'm not sure about the selection. 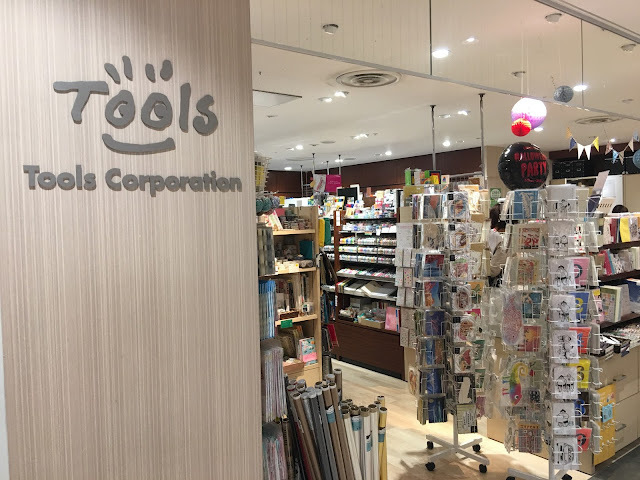 Tools at Lumine est is a rather small shop so I recommend checking out Sekaido main branch nearby too. It's walkable ard 10-15min. Is there anyway i can buy the copics from this store and they ship to usa?? Nope, or you could try rakuten to see if they have? Tokyo Hands doesn't offer the additional 5% discount. I tried explaining it to the cashier but they didn't seem to know about it.